If you have been reading this blog for a while, you know that I frequently listen to audiobooks while I work out. That's why I was so excited when someone from Macmillan Audio contacted me about reviewing their Listen While You Work Out campaign. The idea is that when you are listening to an audiobook, you want to keep "reading" until you finish the chapter. If you are at the gym and you are almost to the end of a chapter, maybe you will keep working out a little bit longer to find out what happens next. "Active listeners can join the program by signing up on the website and logging in the amount of minutes that they spent listening to audiobooks that week. The website will include sample audiobooks that will push listeners to work out longer, and examples of how many calories they will burn while listening to chapters from those particular audiobook while doing various activities. Each week, the website will highlight the top five listeners (who have worked out the most) and be updated with new audiobook releases, testimonials from participants, and words of encouragement to keep listeners on track to keep going and burn more calories! The campaign will run from February to June and participants are encouraged to join at any point during that period in order to get in shape and enjoy great books while doing it." 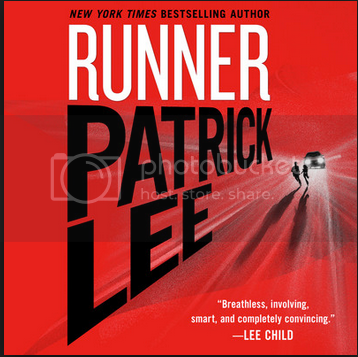 Macmillan was nice enough to send me a free download of Runner by Patrick Lee to review for the program. The book itself was pretty good--a standard thriller that reminded me of Lee Childs' stuff. I started listening to it a couple of weeks ago while I was out walking. I definitely notice that I spend more time being active when I am in the middle of a good audiobook. Once the book has been transferred to my phone, I can listen to it while walking to class or work, I can "read" at the gym, or I can spend some time with my favorite characters while I'm getting used to my new road bike. I have not been able to run for a while due to my injury, but I always liked audiobooks for those slow training runs where the focus is on endurance rather than speed. I run faster with music, but if all I want is to keep my mind occupied while I push myself through a grueling long run, an audiobook is perfect. My one criticism about Macmillan and the program is regarding a technical issue I had with the download rather than with the idea behind the program. The audiobook they sent me downloaded in several parts, which is great because it makes the download go faster. However, once the files were on my iPhone, they did not show up in the audiobook folder of the phone. I didn't think this was a big deal at first, because all the parts of the book showed up as an album in my album folder, but the problem with this later became clear. Because the book was formatted as an album rather than an audiobook, iTunes did not save my place in the book when I stopped it to listen to music or turn off the Music app. I had to try to remember which of the multiple parts I had left off at and how many minutes and seconds into that part I was. Plus, because iTunes thought the book was a music album, it kept trying to play parts of the audiobook when I turned my music on shuffle. Maybe it's something that I did wrong with transferring the file, but I found the technical problems a little annoying. It is not a complete deal breaker since I think the problem is fixable. I have purchased audiobooks from other companies that do not have this issue because they format the download as an audiobook. I hope this is something the tech gurus over at Macmillan will look into in the future to make the customer experience smoother. Overall, I think Listen While You Work Out is an awesome idea. Macmillan has managed to combine two of my favorite things, reading and working out, into one campaign. 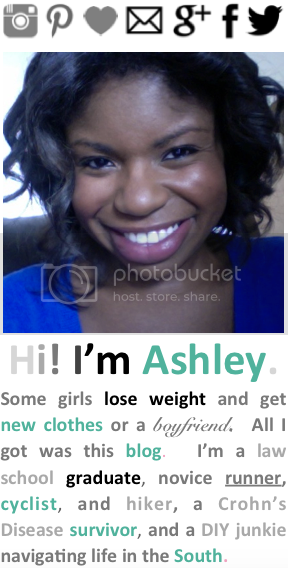 If you are interested in getting involved, check out their website here. Macmillan has been nice enough to offer one lucky Downsizing reader a free audiobook download! To enter, leave a comment on this post by March 8 at 11:59 PM Central telling me the name of the best book you have read recently. That's all you have to do. One entry per person. Each entry will be assigned a number and the winner will be selected at random using a random number generator. 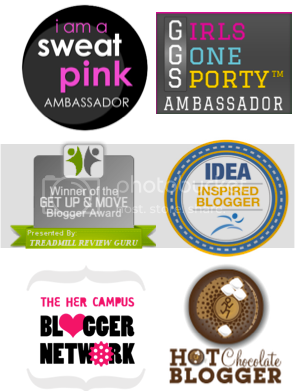 The winner will be announced in a blog post after the giveaway ends. Good luck everyone! *Macmillan Audio gave me a free download for purposes of this review and a second download to give to one of my readers. I did not receive any further compensation for this post. As always, all opinions expressed in this review are my own.